Availability is extremely limited while supplies last. Specifics of each offer can be found on the offer's booking page. Rates are prepaid, non-cancelable and non-refundable. Rates are per night. Thursday requires a Friday night stay. Sunday requires a Saturday night stay. A limited number of rooms are available and will be sold on a first-come, first-served basis. Rates are offered Thursday through Sunday. 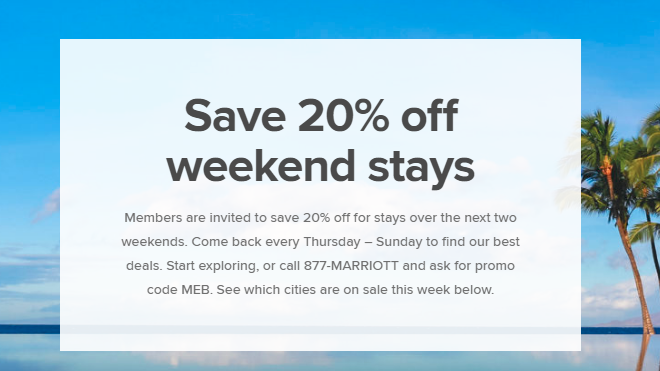 Some hotels only offer discounted rates Friday-Sunday. 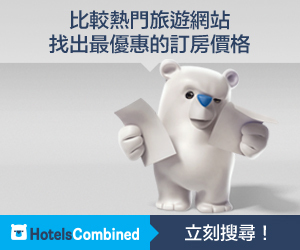 These hotels are indicated with an asterisk (*) next to the rate. Rates are for standard rooms, per night and based on single or double occupancy. Rates are non-commissionable and do not include taxes, fees, other costs or gratuities. Rates cannot be used in conjunction with other offers and/or discounts. Promotional rates do not apply to groups of 10 or more rooms. Rates are quoted in local currency. Rates are eligible for Marriott Rewards® Points, Starwood Preferred Guest Starpoints®. Participating resorts are available all days of week, subject to availability.